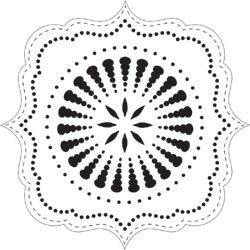 ~ 12″ Stencil Ideas ~ Home Decor! Scrapbooking! Fabric! AND MORE!!! 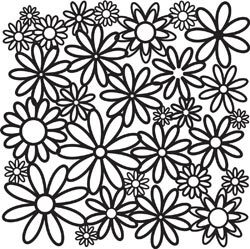 We have over 40 different 12″ Stencils that can be used for SO many different projects. 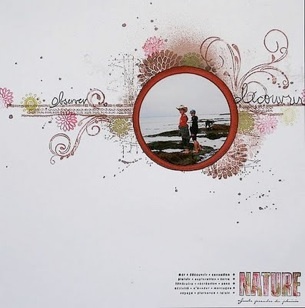 Scrapbooking…make your own background or paper, embellish pages with fine details, or use them for journaling! Fabric…spray a fabric spray to make a beautiful shirt, and then add some bling! You can also paint on canvas bags, quilting patterns, use your imagination! We like to use them on 12″ canvases to make home decor projects…and we can’t wait to use them on wood, vases, rusty tin, and many other home decor items! 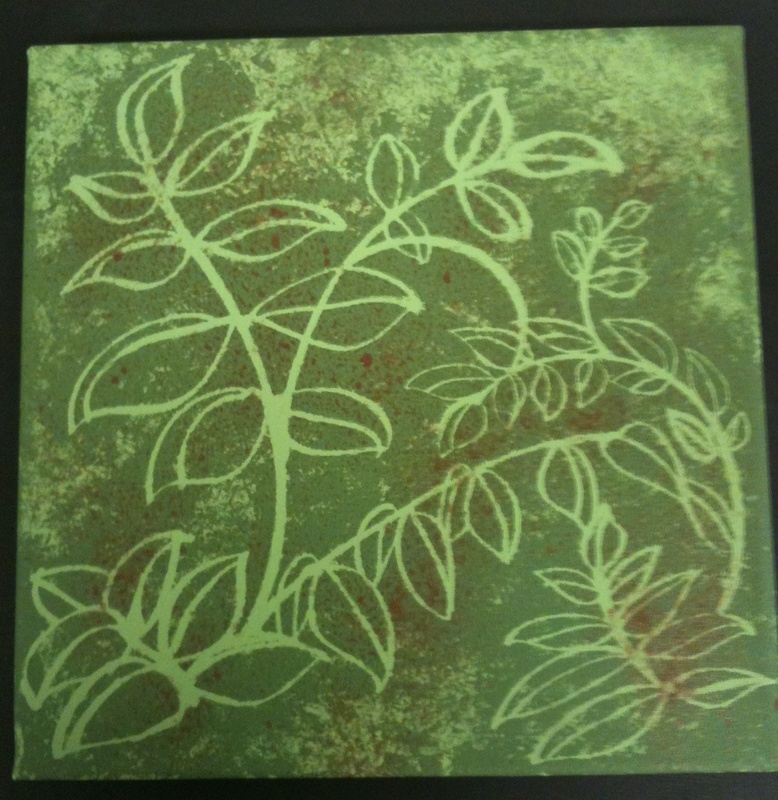 We are having a class in October…make sure and check out our “October Classes” post to get signed up! 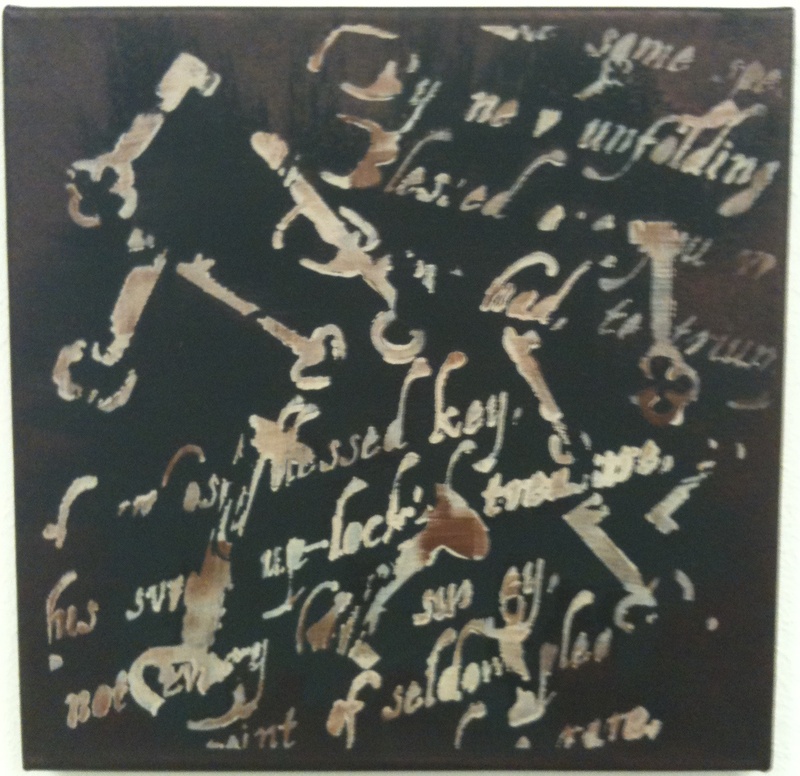 Here are a few ideas on how to use these incredible stencils, and make sure to call or email craftpeddler@st-tel.netif you have questions or want to know what we have in stock!…OR even better…STOP BY and see us! We have had so much luck selling things on ebay so we thought we’d try it on Etsy as well. We are just getting started and trying to figure out the demand on this site. 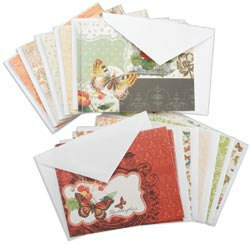 So far we have boxed card sets and some really cool clear acrylic stamps. We have TONS of other things available so if you happen to stop by this Etsy shop and don’t see what you are looking for make sure you send me an email and we’ll get it out to you asap. We love to cater to our customers and keep them coming back! MAKE SURE YOU SIGN UP FOR YOUR FAVORITE CLASSES TOWARDS THE BOTTOM OF THE PAGE! We will show you a couple techniques for making your very own, amazing beads! 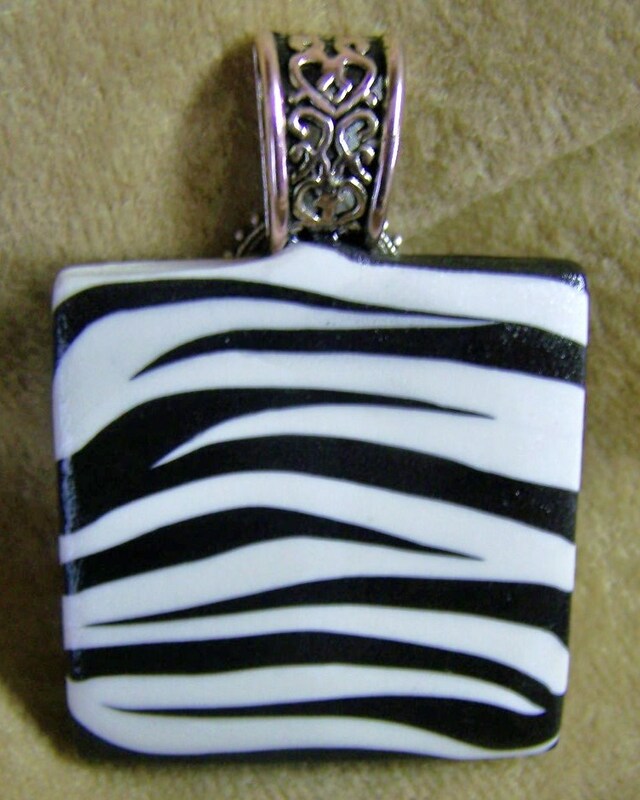 Lentil beads and zebra, your imagination will go crazy thinking of all the different styles of unique and personalized beads you can create. Use the beads from the previous class, or purchase new ones! Val will show you how to string your beads, and properly toggle the ends. 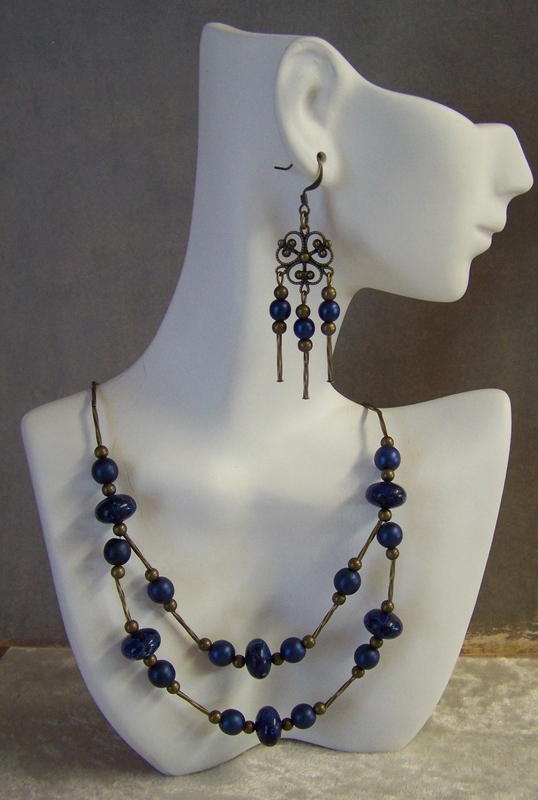 Make necklaces, bracelets or earrings! She will demonstrate techniques such as how to wire wrap beads, which will add an additional flare to any jewelry piece! What a unique way to decorate for the holidays! Lori has painted the wooden domes with letters for HALLOWEEN on one side and HAPPY FALL on the other! Simply turn them around and change out the embellishments and you have a refreshed look for a new season! “Christmas/Valentine” to be scheduled in November! Pick your project! 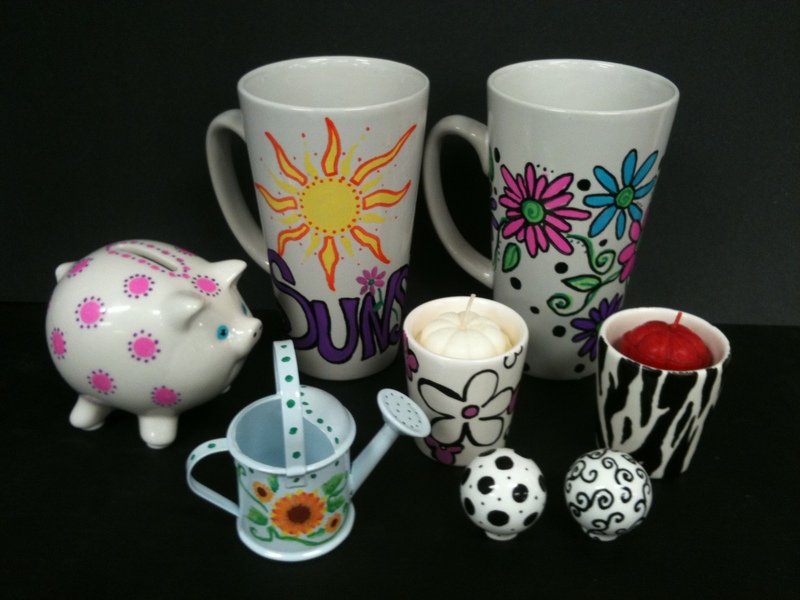 Whether you’re painting a mug, piggy bank, or candle cup, you are going to be amazed at these markers! They are super easy to use and paint the ceramic or glass with ease. 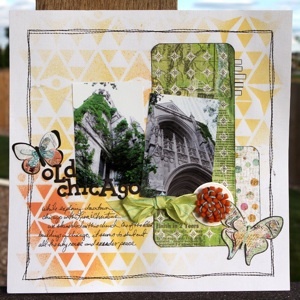 Scrapbook papers are not just for scrapbooking! 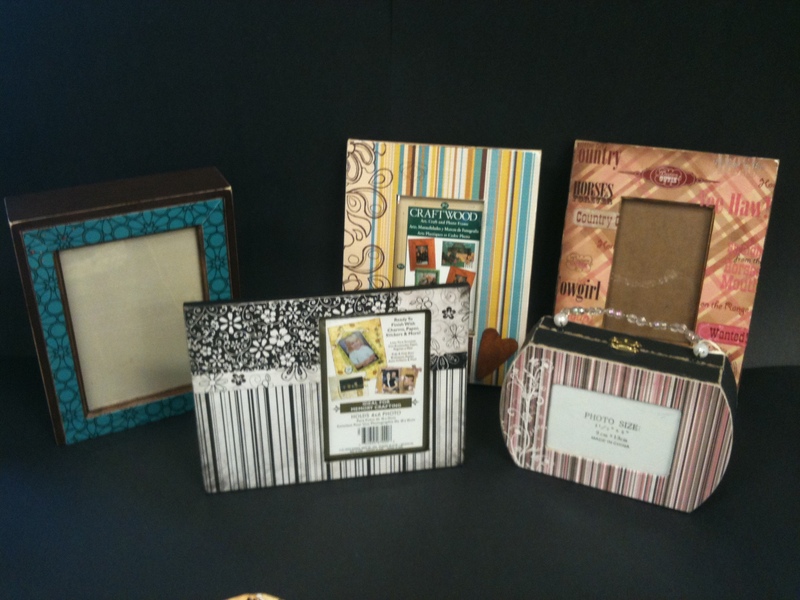 Thinking outside the box…or “scrapbook”…the possibilities are ENDLESS!! 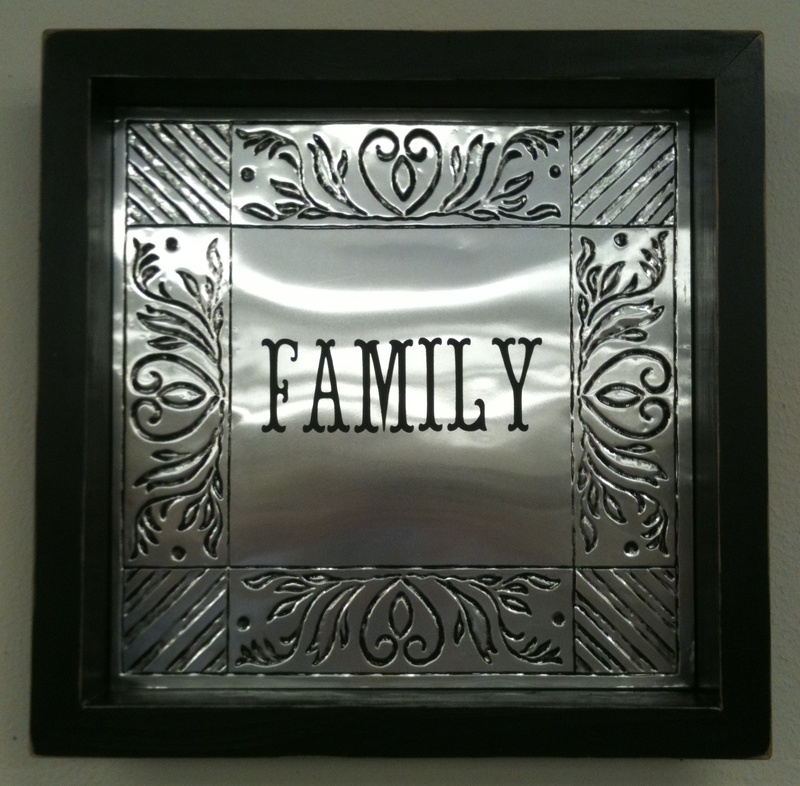 Whether you choose a wooden frame, paper mache letter, shelf, or note holder, you’ll be able to create whatever style you are looking for. Make it personalized for that extra touch, these projects make amazing gifts! This is a great class for stocking stuffers, or if you’re looking for that something extra to set your gift apart from the rest. Make matching magnets, or personalize them with a photo! These are super fun to make and allow you to get as creative as you can! 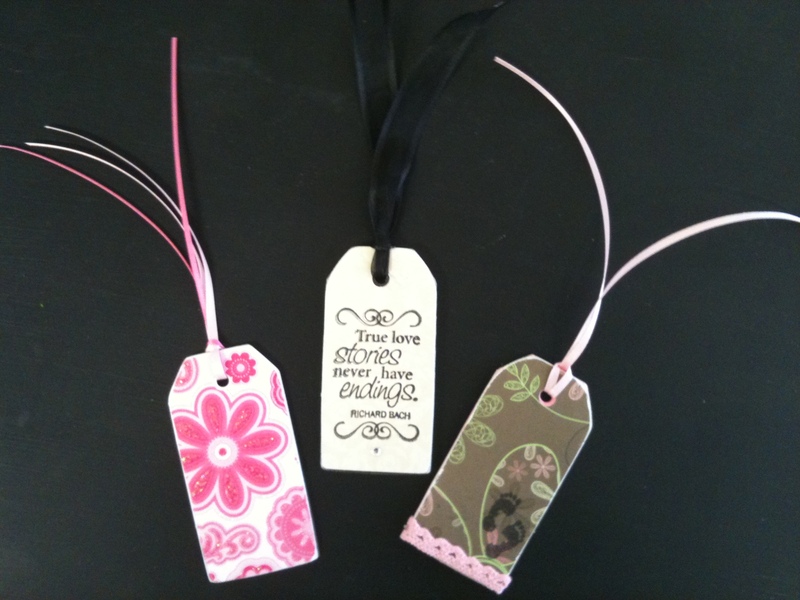 Another class where you can get creative and personalize your project. 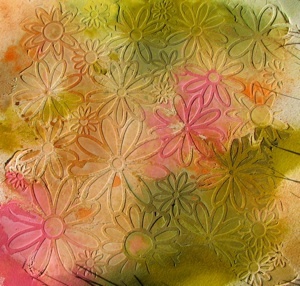 Using a 12″ stencil for the design and different paint layering techniques to add depth and texture! Great for any room! 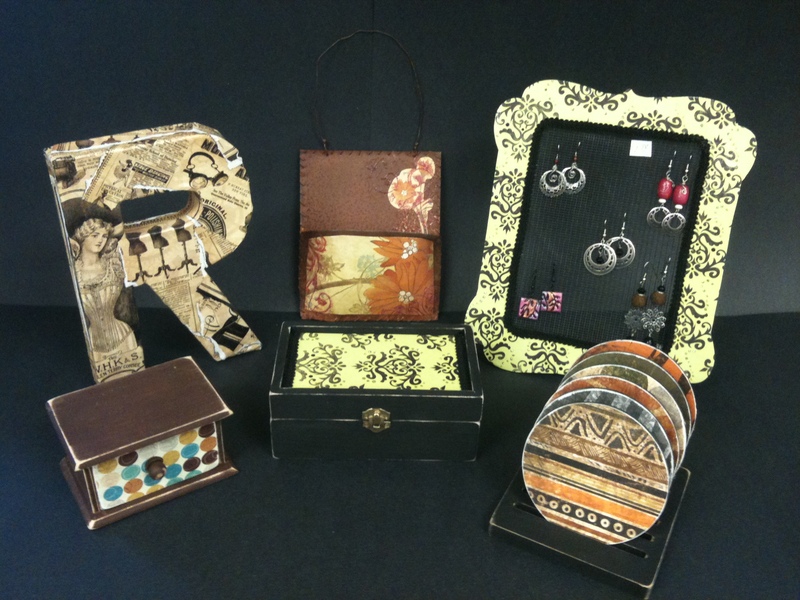 Cost: Supplies Only…NO CLASS FEE! 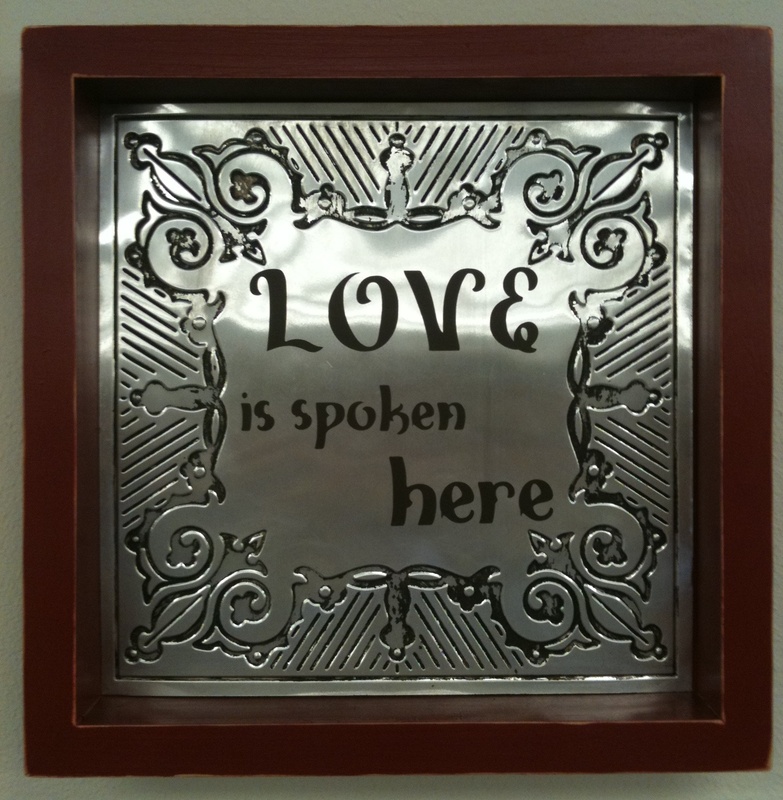 This wood shadow box can be painted any color, and the 12″ embossed tin ceiling tile antiqued to your liking as well. The center verbiage can be customized on the Cricut by font, size, color and word/phrase! 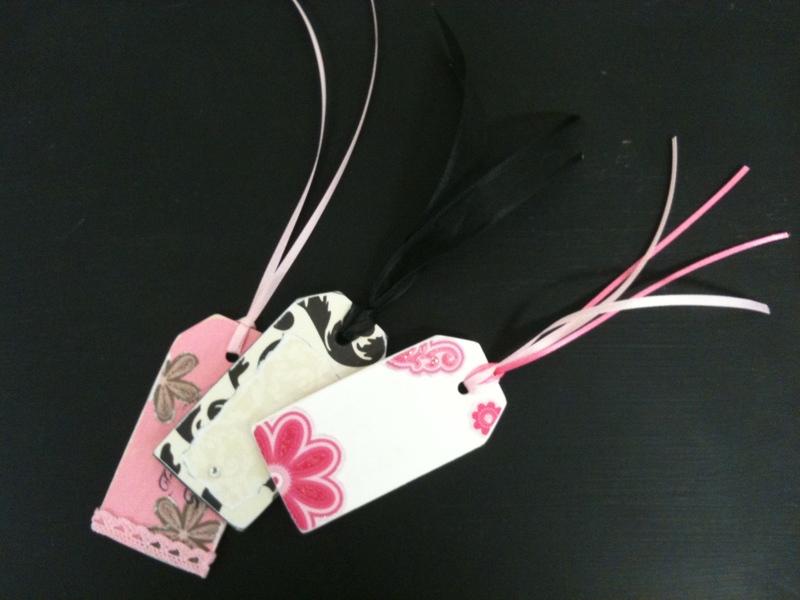 Personalize it with a name or make it general for any use! What a great gift! But HURRY…seating is limited to the first 14 people! If you need to cancel, please be courteous and let us know at least 24 hours prior to class. Thank you!